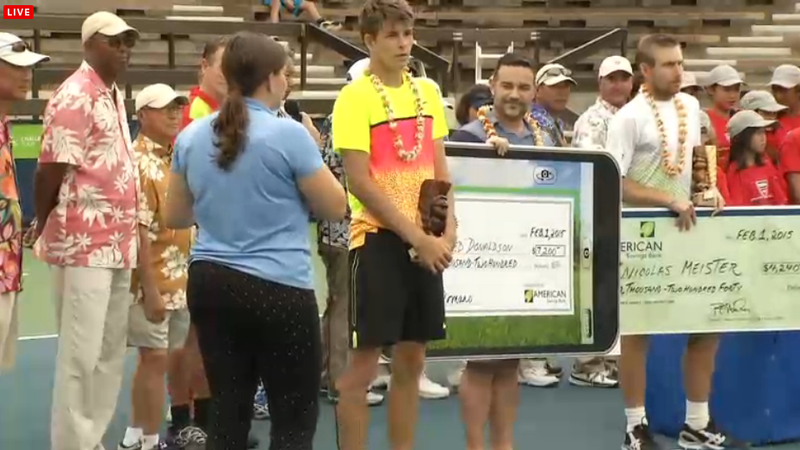 Jared Donaldson, one of the Just Drop The Ball's 10 American teenagers to watch in 2015, wins his first career challenger title in Maui today to become the youngest American titlist since Donald Young in 2007 (Aptos). At 18 years, 3 months, and 23 days old, the teenager is the 55th youngest challenger champion. American Michael Chang holds the record at 15 years and 7 months when he captured the Las Vegas crown in 1987, roughly 9 years before Donaldson was born. 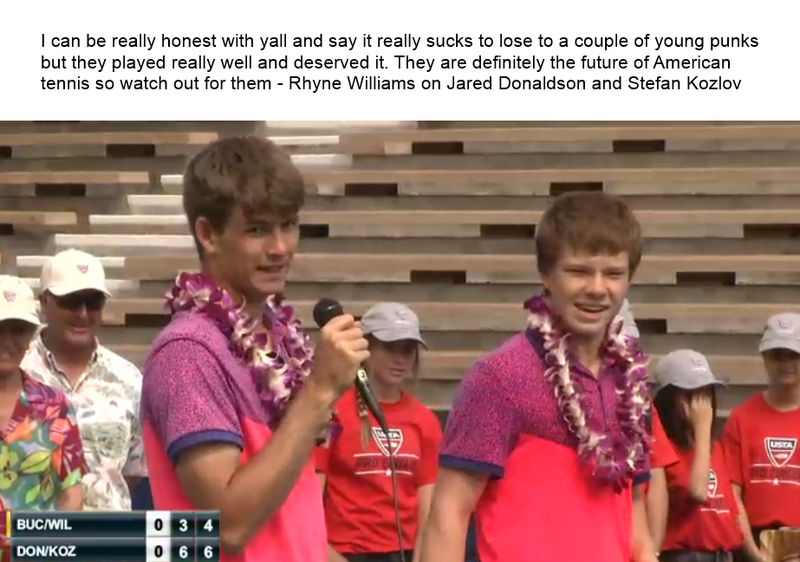 During the championship run, Donaldson defeated Yasutaka Uchiyama, Chase Buchanan, Dennis Novikov, Bradley Klahn, and fellow first time finalist Nicolas Meister 6-1 6-4. The break-through is more than just an accolade for the American, it is a sign of mental strides. The youngster almost flamed out in his first round encounter due to a stomach/food issue, but held on to win in the tiebreak, 7-5 7-6(6). In the semifinal versus the number two seed and compatriot, Klahn, he squandered a 4-0 lead in the second set and was unable to close out the match in his own service game. But again, Donaldson held on to win in the tiebreak, 7-5 7-6(4). The animated right-hander, who at times let his emotions get the best of him, would have lost these types of matches in the past. So this week is a huge step in the right direction, mentally and ranking wise. With today's result, Donaldson will break into the Top 200 for the first time (~178 ATP). 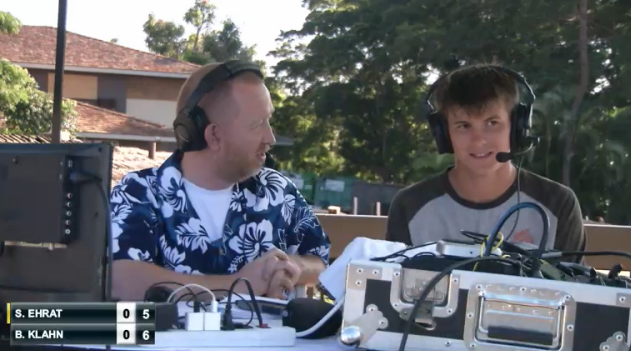 The talkative Rhode Island native, who now trains at the Dent Academy in California, has spoken with USTA Pro Circuit's commentator earlier this week. He told Mike Cation that he worked hard during the off-season trying to be more aggressive and to improve his defense as well as his mental game. The hard yards have certainly paid off. You can watch the very insightful interview below (39-minute mark). Up next for the rising American is ATP 250 Memphis, where he has received a main draw wildcard. This will be the Donaldson's second ATP main draw event after having qualified for ATP 500 Washington last summer.